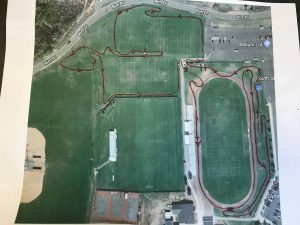 There are several more Wednesday and Saturday cyclocross practices at the FLC Stadium happening through the holidays for those going to cyclocross Nationals and anyone wanting a spirited workout. Looks like we’ll have some new conditions out there. Looks like there is a 11am practice race this Saturday and can use the same course as yesterday, map attached – pink flags on right, blue on left. There will also be Wed 12/27 12noon practice next week (as well as Saturday 12/30 11am, Wed 1/3/18 12noon and Saturday 1/6/18 11am) and can use the same course backwards for those looking to stay in shape for Nats. ©2007-2019 DWC. All Rights Reserved.